Salmon start to enter the rivers in September thru October. The peak spawning run occurs the last half of September and the first half of October. Chinook Salmon range in size from 15 to 30+ lbs. Coho Salmon average 12 to 15 lbs and are very aggressive to take a fly. After a day of fighting these brutes you will have done a days work! Steelhead begin to enter the rivers in late September and continue throughout the winter and into March. Peak spawning time occurs in late March and early April. Good fishing usually lasts until early May. 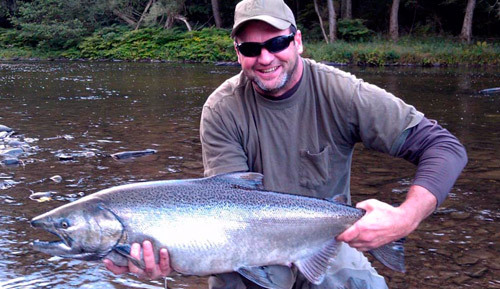 These Steelhead average between 6 and 10 lbs with fish in the teens caught quite often. A few fish over 20 lbs are caught each year as well! The Steelhead that enter the rivers in the fall are the hardest fighting fish around and will take you into your backing in seconds, with tail walking memories that will last a lifetime. During this time, fishing with indicators and egg patterns as well as swinging flies with two handed spey rods are very productive methods. 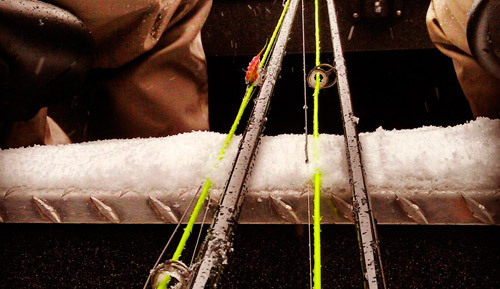 This time of year is winter Steelhead at its best. These fish hold in entirely different lies than in the fall and these lies are very predictable. Fishing this time of year can be very productive depending on the weather and water temperature. The best technique this time of the year is fishing the slower water with bigger flies and dead drifting more natural patterns. New fish enter the rivers on a daily basis – these fish are now getting ready to spawn. Once the fish have spawned, these hungry fish drop back to the lake. These drop-backs are on the feed and are very aggressive. This is the perfect time to swing flies. Each year a handful full of steelhead are caught on skated dry flies, but you must be dedicated to achieve this. Once the fish have spawned, these hungry fish drop back to the lake. These drop-backs are on the feed and are very aggressive. This is the perfect time to swing flies. 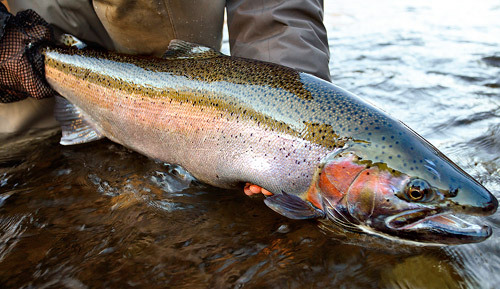 Each year a handful full of steelhead are caught on skated dry flies, but you must be dedicated to achieve this. 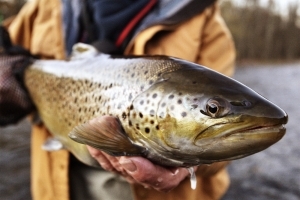 Brown trout enter the rivers and creeks in mid-October thru November to spawn. These trophy fish average from 8 to 15 lbs. The tributaries in Western New York are the premier streams for the once in a lifetime trophies. The best techniques for Brown trout are fly fishing with egg patterns. Since this season is very short, prime dates book quickly. So plan ahead if you are interested in this fantastic Brown trout fishery. We also offer trout trips on the Ausable River located in the High Peaks Region of the Adirondack Mountains. 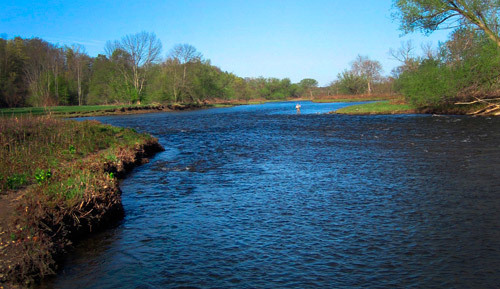 The Ausable in know as one of the best trout streams in the Northeast. 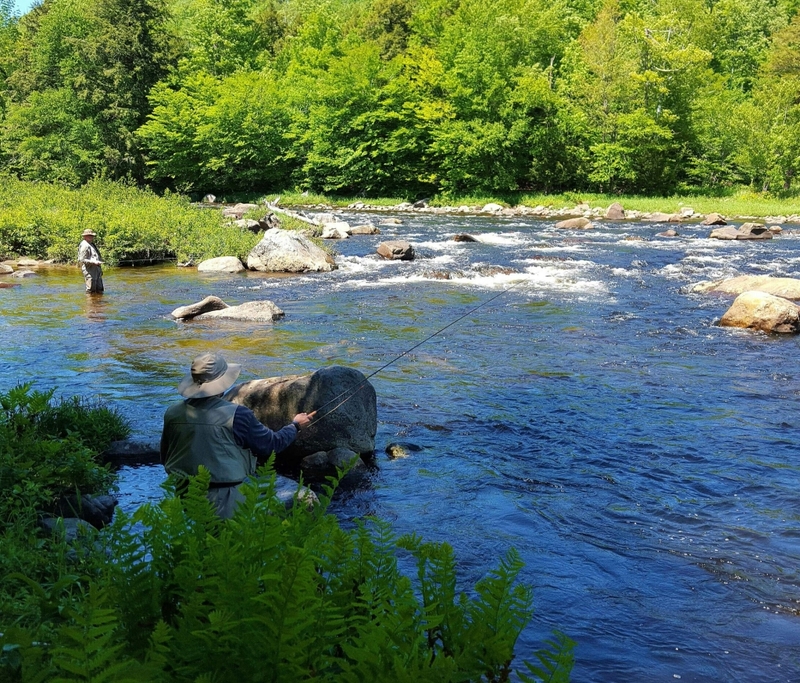 It has flat pools perfect for dry fly fishing and some of the best pocket water fishing around for nymphing flowing thru flumes, and water falls along the way. Contact PGS & Book Today!